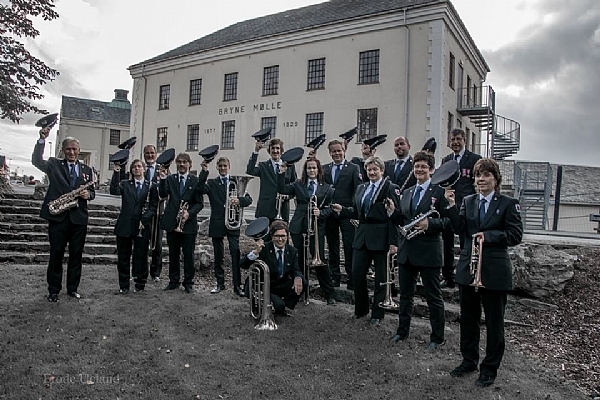 Bryne Musikkorps comes from a small town about 30 km south of Stavanger on the south-west coast of Norway. The band was founded in 1934 and the number of members has varied during the years. Today, the janissary band concist of about 35 musicians of both sexes from the age of 17. We have a lot of different gigs during the year, but we are especially busy on the 17th of May, which is Norway’s National Day. We normally participate in 6 different parades this day. During the year, we also arrange some concerts where we bring in vocalists and other instruments (accordion, piano etc…..). Otherwise we play on bigger events like Christmas Parties and football matches.